Description: New!! 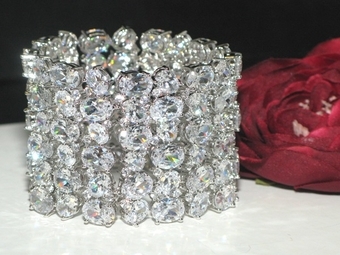 Gorgeous, Glamorous, Hollywood style Stunning Cubic Zirconia wide cuff wedding bracelet. 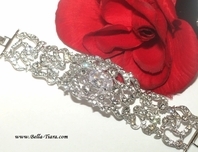 be amazed with this breathaking new CZ bridal bracelet, created with dazzling diamond like CZ in various bold shapes. 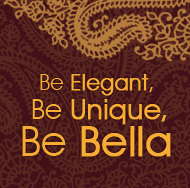 many matching earrings available (see earring section) UNBEATABLE PRICE!! not many available don't delay.